If you require a locksmith Juniper Green service, we are the guys to call. we love nothing more than travelling to the village of Juniper Green. Its like taking a step back in time, not to mention the charming residents that stay there. 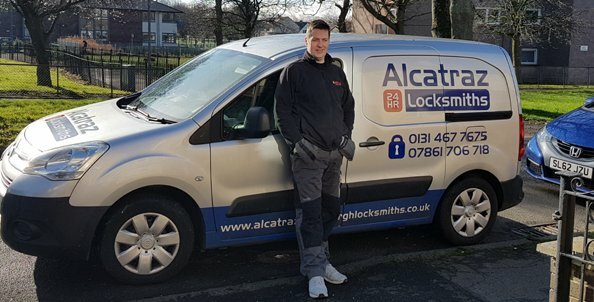 Alcatraz – Edinburgh locksmiths are a small family run business based at Clermiston in the west of Edinburgh. As we are just down the road from Juniper Green, we could easily be with you in under 15 minutes. We are proud to deliver an emergency locksmith service, which operates 24 hours a day, 365 days a year. No problem is too big or small for us. As we are a family run business you can expect our rates to be the best around. Most jobs will be completed in under a hour. This means the customer will only pay around £45 during the day. We have been providing a locksmith service to the people of Edinburgh and Lothian for around 6 years now. In this time we have never had one complaint. If there’s an issue regarding the work we’ve done, it’s always resolved quickly, and never at the customers expense. UPVC doors, or any doors for that matter are our speciality. Through years of experience, and shared knowledge with other door repair specialists, we sort out most problems within 30 minutes. Most issues with doors are caused by poor alignment. That’s not saying the doors been fitted poorly in the first place. Poor alignment is usually caused by the weight of the door, pulling it from its original position over time. Simply adjusting the hinges or keeps on the frame usually sorts the problem immediately. If however, more than an adjustment is required – say a lock component has burst, our van is loaded with parts to complete most repairs. These parts include UPVC gearboxes; which may be required if the alignment has effected the doors mechanism. Sometimes poor alignment on UPVC doors, can cause the barrel to fail. The extra force needed to lock the door can cause the inside of the barrel to move. For this reason, we stock all sizes of euro locks in both chrome and polished brass finish. Regarding wooden doors, we stock all the usual locks you would find on most doors. From a basic night latch to the formidable British standard version. We also carry A full range of mortice deadlocks and sash locks. The way we look at it, if we have your part in stock, it saves us returning later. Therefore saving our time and the customers time.